Attention to detail is instrumental in menswear, especially with suiting. The ability to pull off a suit is predicated on confidence. If your optics are awry, it chips away at the swagger that you’re trying to channel. Even worse, all of your separates look like awkward hanger-ons, rather than finishing touches, if the core piece is off. Think of it like building a puzzle: if just one piece is missing, then the final product won’t materialize. At the same time, that’s also what makes suiting one of the most enjoyable areas of style. Where there’s greater risk, there’s greater reward, and successfully pulling off a to-the-nines two-button signals a serious level-up. 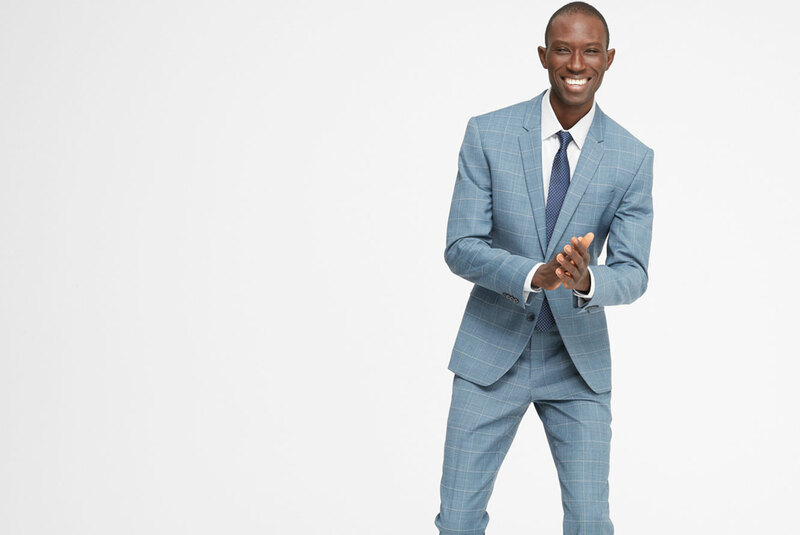 Below, relearn the nuts-and-bolts basics for your smartest suiting season yet. Remember, the devil really is in the details. Misplaced neckwear can torpedo any otherwise solid fit. A little material goes a long way, so calibrate the tip so that it barely hits your belt line—south of the navel but north of your hips. Here, it’s self-aware restraint, not abrasive theatrics, that demands the most attention. Moderation is imperative for pulling off accessories like pocket squares. Monochromes are easy aces, but busier materials like micro-checks or polka dots are encouraged, provided they don’t clash with the look. From there, show just a sliver, not a generous slice, of fabric—like garnishing a cocktail, it’s an added effect that’s meant to complement, not overshadow, the main show. Suiting is a game of inches, so it’s important to be ultra-exacting with the measuring tape. While there’s certainly some degree of leniency, aim for about a half-inch of your shirt cuff to be peeking out of your jacket sleeve. Your button-down is the workhouse cornerstone to the overall outfit, so accounting for adequate proportions will mitigate wear-and-tear, elbow rips, and other functional risks while ducking style hazards, too. More and more, suiting is embracing fits-like-a-glove tailoring. That said, aesthetics shouldn’t handcuff comfort. If you can’t raise your arms without your jacket aggressively bunching up, then you’ve erred too tight. Take stock of your frame and decide accordingly if an extra slim, slim, or classical cut is the best option for your body type. The jacket should move easily with your body, versus competing against it. Technical tailoring jargon can overcomplicate the pants process. Just remember that the hem should tickle your ankle, not cover it, showing off your shoes in their entirety. Ideally, the legs will run as one unfettered, continuous silhouette that doesn’t bunch at the foot, but doesn’t strain at your hips. Clean breaks are good—doubly so with pants. Belts, and the necessity of them, are a passionately debated sub-topic of suiting. Staunch traditionalists swear by them, while the modern-minded view them as optional formalities. If you side with the latter camp, ensure that your pants are sufficiently snug to not require looped support. Otherwise, a style W can sour very quickly, waisting—er, wasting—a pays-big style bet.